Does it matter what industry your new business is in? Of course it does, but the industry is just a piece of the overall puzzle rather than what drives the search. Further complicating the search process for those doing so on their own is the fact that franchisors in the same industry can have dramatically different business models and require vastly different roles for their owners. This means, even if you are fairly sure of the industry you want, there is still no way to know which franchisor is a perfect match for what you bring to the table. Confused yet? 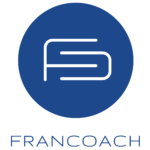 This is why working with the franchise experts at FranCoach will help eliminate the clutter and confusion and will allow clients to find the business that is truly their best possible match. Check out our blog to learn even more about the importance of industry and the difficulties of finding the right franchise. Does industry matter when finding the best franchise to own? Of course, it does! However, it is not even remotely the most important factor. Instead, the industry is just one of the many pieces of the puzzle. Below is a sampling of FranCoach clients who are now first-time franchise owners. Take a look at the table below. This shows the clients more recent "Corporate Title", the most recent corporate industry, and the industry of their new franchise. Yes, some of the industries are similar but more times than not the industries are very different. To learn more about what industries would be the best fit for you, please click here to schedule an initial conversation.